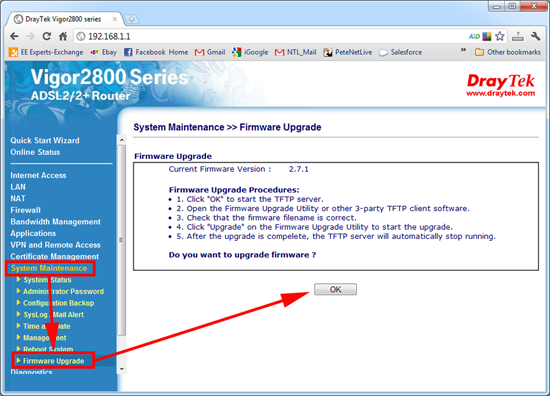 You have a Draytek router (In my case a 2800 ADSL 2/2+), and you want to update the firmware to the latest version. 1. 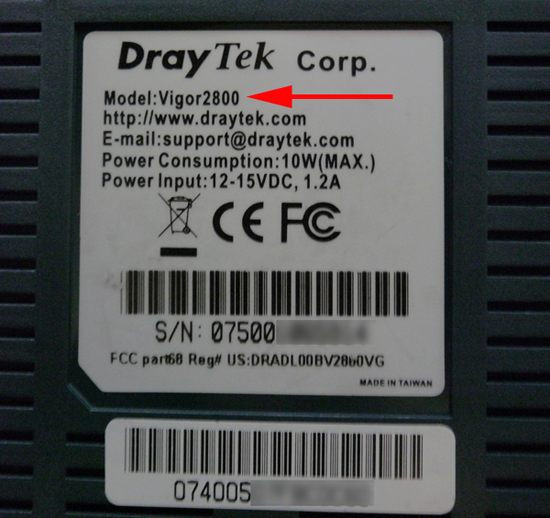 Make sure you have EXACTLY the correct model number, this one’s a Draytek Vigor2800. 2. Go here and download the latest firmware for your model. 3. 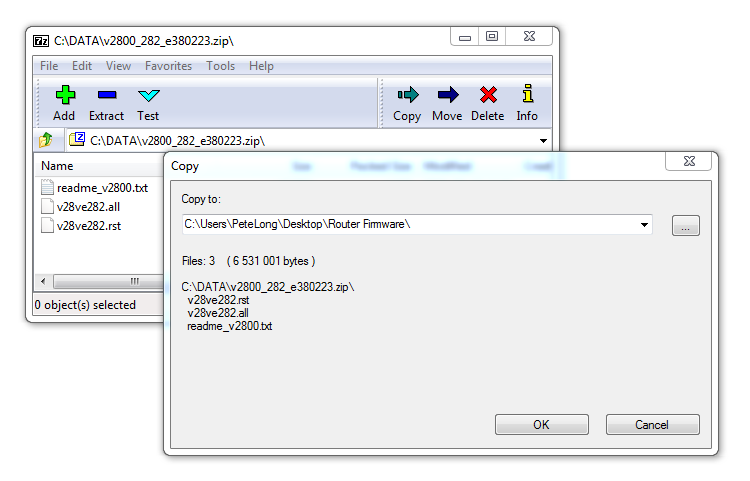 The firmware will be in a ZIP file download and extract it to your machine. 4. Log into the web console of your Draytek > Navigate to > System Maintenance > Firmware Upgrade. 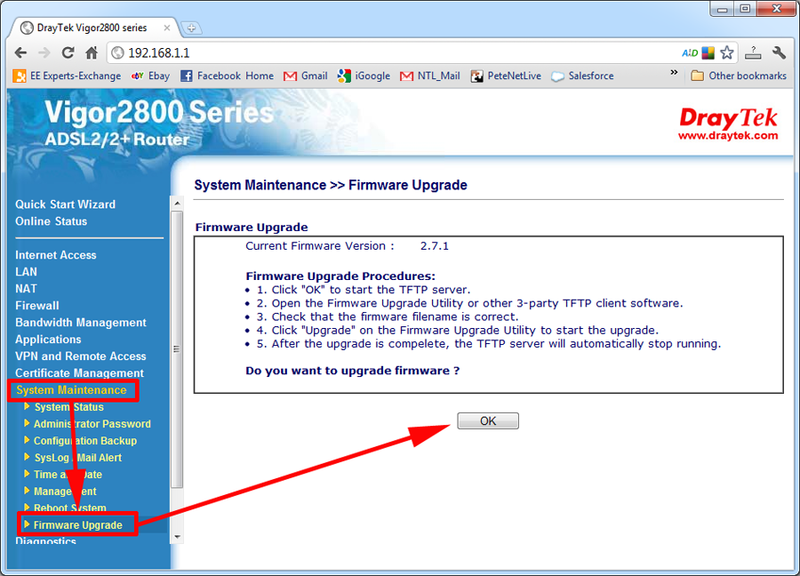 (Note: Newer models will let you upload the firmware from here, ours sadly does not). 5. 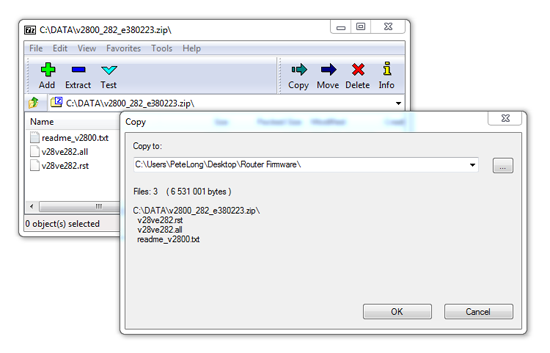 Download the run the Draytek Firmware Update Utility > Locate the IP address of your router (If you have multiple NICS select the one you will use) > Navigate to the firmware you extracted above > Enter the routers password > Send > Have a Coffee > OK. Note: Select the firmware that has an .all extension, WARNING selecting the firmware that has an .rst extension will upgrade the router BUT it also removes all the settings. 6. If you now check your firmware version, it should be correct.